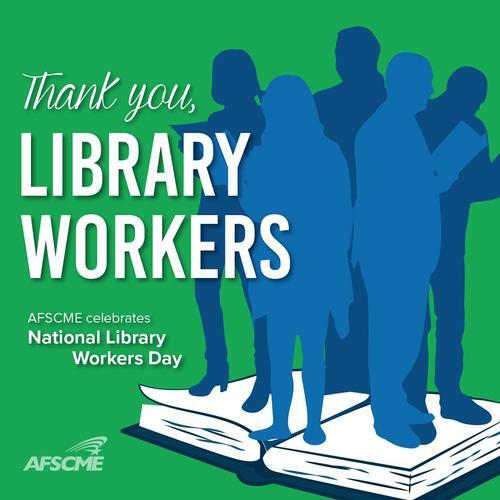 Today as part of National Library Week, we’re joining the American Library Association (ALA) in celebrating National Library Workers Day and the real heroes behind who we are and what we do: our librarians and staff! Today is a day to recognize the myriad contributions made by Free Library staff, those who work tirelessly to make possible our mission of advancing literacy, guiding learning, and inspiring curiosity each and every day in Philadelphia and beyond. From offering social service support and health services to career and small business development to programs for our city’s littlest learners, our library staff members provide opportunities for engagement, enrichment, and development for all. 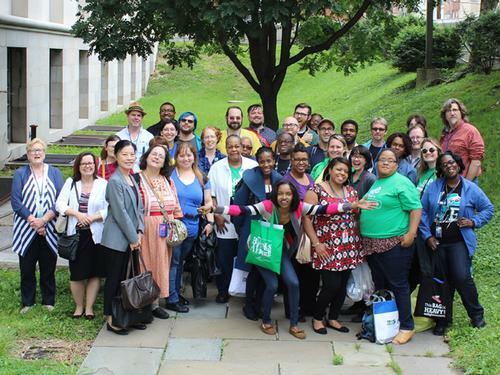 The Free Library of Philadelphia offers over 31,000 events and programs each year and the librarians at our 54 neighborhood libraries field over 3 million reference questions! It’s safe to say they keep busy. So join us in giving a big thank you to our Free Library staff – we truly couldn’t do it without them! Free Library Staff pictured outside Parkway Central Library after an All Staff Day event. 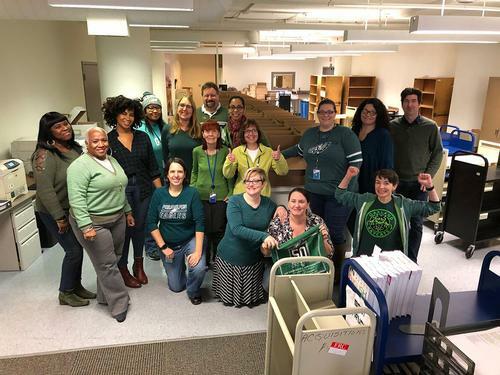 Materials Management staff in their Eagles green. 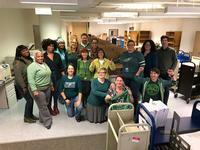 AFSCME thanks all library workers! Hats off to everyone. Love the library. And those of you that handle those teeny, tiny books up in the rarefied atmosphere, TinyDoorsATL has the perfect place to stretch out and relax with a good, tiny book (via Instagram). 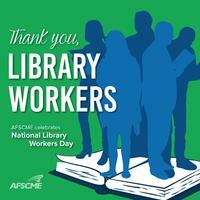 Add a Comment to #NationalLibraryWeek: Happy National Library Workers Day!